Freakin finally! A low gluten IPA available in liquor stores in NJ! I know I’m a day late for IPA day, but here it goes. Available in a can and sold in 4 packs, this is the best low gluten brew I have tried so far. I think I’m a bit biased since it’s an IPA. It has a great golden color with toasty grains and floral hops on the nose. Not much head when poured. The aroma is duplicated in the taste with the toasted grain followed by the floral hop finish. I am a bit concerned though as there is the mysterious ‘candi syrup’ and corn maltodextrin in the ingredients list. Hmmmm. The only Candi I want to see on my beer label is of the Old Dominion variety. But, I was told at the liquor store, if this sells, they’ll start stocking Omission IPA, which I have been waiting to see in NJ. 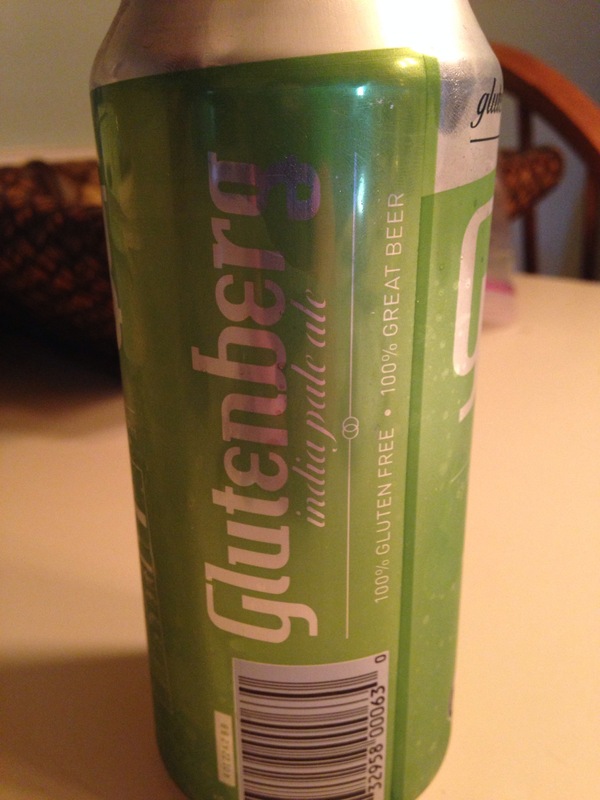 So, cheers Glutenberg! 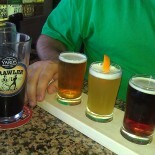 This entry was posted on August 8, 2014 by wineoh!006 in Uncategorized.